I am super lazy when it comes to removing my eye make-up, it is usually the thing that I often forget about when I am removing my make-up at the end of the day. 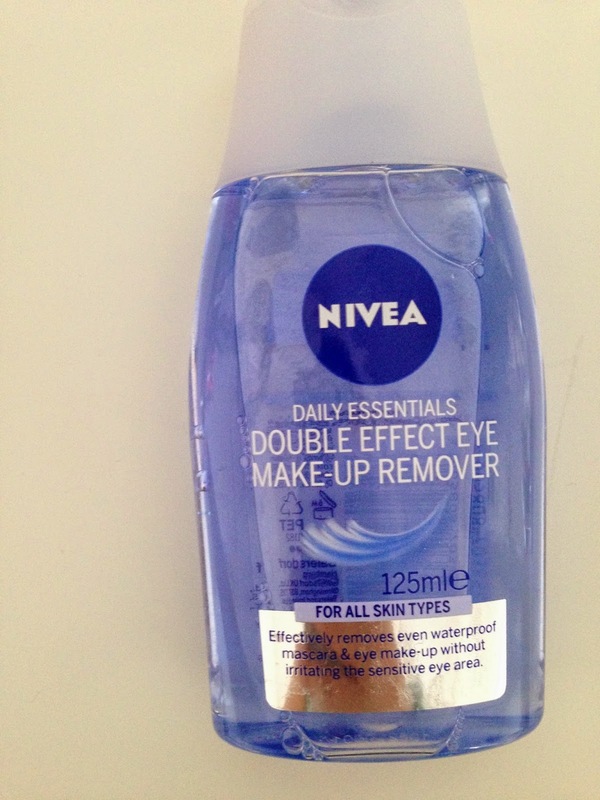 After I have cleansed and used a toner on my skin, I can't really be bothered to do much else so Nivea Double Effect Eye Make-up remover is perfect for lazy people like me. The product needs a good shake before applying, you will notice that the two solutions come together as one as thats when you should apply this to your cotton wool pad. 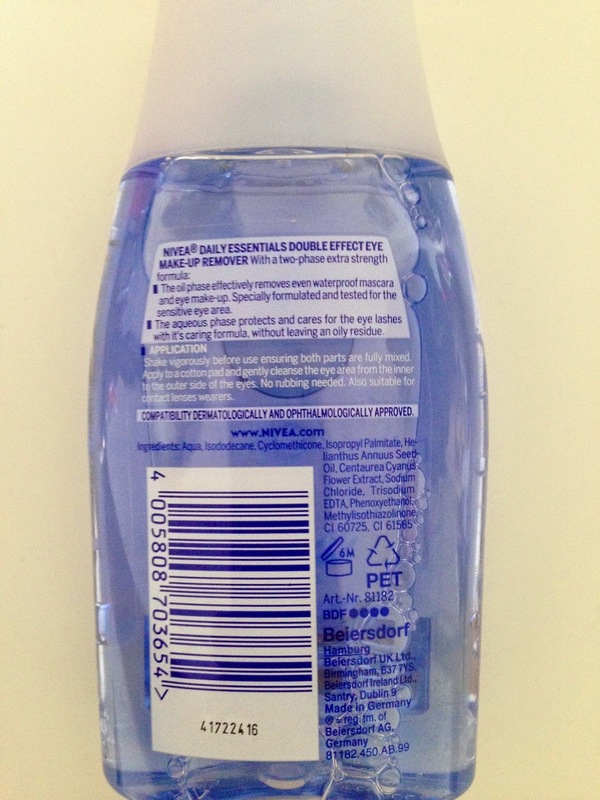 It is important that you do shake the product as it is a two phase formula so it will allow both products to work properly. It works well for stubborn waterproof mascara as I have found before with other removers I have had a shower and still ended up looking like a clown afterwards. It works well with sensitive eyes, I think to a certain extent everyone has sensitive eyes after all nobody wants anything stinging or making their eyes sore. This product worked well with tough mascara and didn't feel like i was using sandpaper on my eyes, so it was a winner in my eyes (see what I did there). After using the product it didn't leave my eyes looking greasy so after removing my eye make-up I was then ready for bed and no need to be fussing with washing my face again because it felt all greasy.